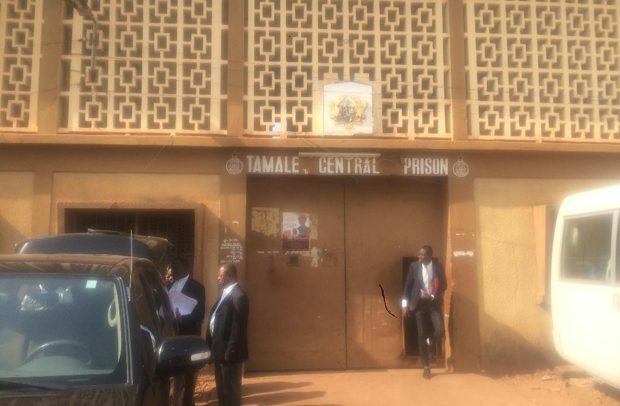 The Tamale Central Prison (TCP) has forcibly accommodated more inmates causing overcrowding. The facility is overstretched as it accommodates over 300 inmates, with a cell housing 30 inmates which is against the international standard of a cell housing at most four inmates. The prison was built to accommodate some 80 inmates. According to David Afatsawu, the PRO of TCP, due to the increasing number of inmates and the overcrowded nature of the facility, the inmates are not well attended to due to inadequate resources. He indicated that the government over the years had been doing its best possible in ensuring that the facility and indeed the prison service across the country are supplied with adequate medical resources for inmates but the increasing rate of crime creates a deficit. “Here in Tamale, the benevolence of some individuals, especially the provision of medical supplies, has kept the facility running,” ASP David Afatsawu revealed. According to him, the ascendancy of crime can be largely attributed to poor parental guidance, control and supervision. However, he added that the high levels of social stigmatization as well as the unwillingness of some families and parents to reintegrate their members back into the family after their release from prison also contribute to the high rate of crime. He said when a convict is released from prison and finds it impossible to relate and integrate into society, they mostly involve themselves in the very acts that took them to prison, with the belief that they would be better off in the prison. He further indicated that although the ‘justice for all’ programme has seen the release of many remand prisoners, crime is still ongoing hence the high number of inmates in the prisons. He therefore appealed to parents, chiefs, elders, opinion leaders and religious leaders to be concerned about and interested in the day-to-day activities of their children and subjects, providing the right parental care, guidance and control. He also admonished institutions, schools and organizations to incorporate education on basic laws in their operations and curricula.